David Goldfiled has documented a workaround that might work for you, and perhaps could be automated in the future if it is scalable. Please keep the ideas and feedback coming! Holly, I don't wish to speak for Benetech regarding the status of this issue regarding the Kindle, as I am not a Benetech employee but just a Bookshare member. However, there are apps for both Android tablets as well as for iOS devices such as the iPad which can allow you to access Bookshare content. Personally, I use Voice Dream Reader on my iPhone and this should work equally well on the iPad. Among other things, it allows you to directly access Bookshare's library, download the books you want and then read them, both visually and audibly. It's one of my most frequently used apps on my iPhone. I have several unofficial workarounds for reading books on my Kindle, described below. However, the official response I'd like to see is this: simply bug Amazon to include the Go Read app in the Kindle store. They have BARD, so why not Go Read? I disagree about the Kindle being unable to handle epub or Daisy. It's true that the paperwhite Kindle readers cannot. But they aren't that accessible, anyway. They have low contrast screens in speech output is only minimally implemented. But it's a different story for the Kindle Fire tablets. They run Android and its built-in accessibility tools which Amazon has modified, and in some but not all cases, improved. In the Amazon app store, Voice Dream reader is available and is the same interface one finds on iDEVICES. It lets readers search bookshare directly, as well as importing books from dropbox, google drive and OneDrive. It has other methods of getting books on to the device, including the ability to use its SD card. VoiceDream's only drawback is that it's a bit strange with Braille, but works great for reading with speech and simultaneous magnification. Unfortunately, as I said before, GoRead isn't in the Amazon app store but there are legal and fully documented hacks to run the google play store on them, thus making VoiceDream Reader, Go Read and other apps that support bookshare easy to acquire. which checks the code for malware. Unlike the iPHONE, Android apps which are free in the play store can be legally downloaded as apk files. And if you've paid for an app on another Android tablet, you can back it up as an apk file and move that over to a Kindle fire as well. The Fire tablets have large, clear, high-contrast screens, the VoiceView screen reader, support for Braille displays with BrailleBack and a built-in magnification app. The cheapest one is $50 and the $99 kids version is both accessible and more rugged. I am a blind user and also an alternate media specialist at a community college. The accessibility on Kindle Fire tablets isn't as fully developed as it is on iDEVICES, but it is good enough for any student with a spare $50 who needs an accessible portable bookshare reader. I use mine to consume both bookshare and Kindle books which I've purchased. I use Braille and speech and have trained many low-vision students to use its magnification. And it's 'way 'way more accessible than the ChromeBook at present! *** when I tried to paste this post in to the forum its editor keeps undoing my formatting, sorry. We have recently made Bookshare Web Reader available on the Silk browser that is available on the Kindle Fire. That said, it is not as fully-functional as Bookshare Web Reader is on Chrome. It can read aloud using a native TTS voice, but does not display word-level highlighting; it can display large font and offer different colors. So, depending upon your needs, this might be an option for reading Bookshare titles on your Kindle Fire device. 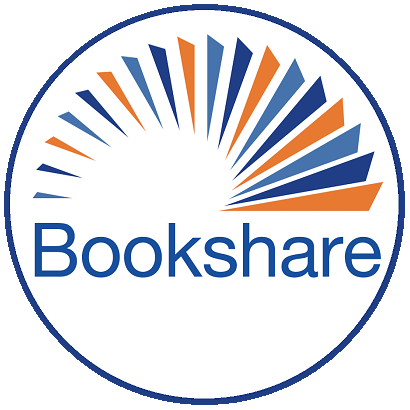 Log into www.bookshare.org with your username and password, and then try the "Read Now" - we'd love to hear what you think! We are still working with Amazon to get Go Read reinstated in their Kindle Store. BARD and Voice Dream Reader apps are both there, so we are hopeful that this time we will succeed. Fingers crossed! 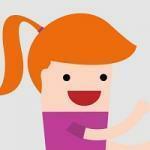 Hi, I am new to Bookshare. Is there any update on getting an App in the Kindle Fire store? This is for my 8 year old son so I am not eager to give him Internet access on his profile. Plus, I really need him to have word-level highlighting. Otherwise, we could just listen to books on Audible. Also, am I losing it or is Voice Dream Reader not really in the Kindle store? Thanks in advance. We did hear for some reason Voice Dream was removed from the Kindle app store. If you're familiar with Android devices it is possible to side load either Go Read or Voice Dream Reader onto the device. Go Read is free, but it will only include phrase or sentence level highlighting. Voice Dream Reader does require a purchase, but will include better voicing overall and word highlighting. I continue to love using goread, voicedream and capti on my Kindle. I also use the Kindle often to demo to students, especially those with learning differences or low vision who need to read with both their eyes and ears. Improvements to the Fire operating system continue to appear, and another apk repository, apkpure.com also keeps updated versions of the apps, like goread available for side-loading. Another big advantage the Kindle has over some other Android tablets is support for SD cards, and the fact that a book that a student wants to buy or rent that's not on bookshare can also be easily read on this platform. Amazon has added greater accessibility to the newest Kindle paperwhite devices, and though they don't run apps, it's important information to know. I'd really like to see more high school and post-secondary schools encourage Kindle usage, since the device is far cheaper than an iPAD, books are cheaper to rent on Amazon than to buy and sideloading goread is really not that difficult. How do you load goread and voice dream reader? I have not been able to pull it up in the appstore and don't know how else to reach it? If you're comfortable with Android itself you can side load Go Read onto a Kindle Fire. You have to enable the settings in Android to allow apps to be installed from anywhere, then download the Go Read APK usually through a computer or somewhere from the Google store and transfer it onto the Kindle. I often use Dropbox for this but any way you can get the apk onto the device should work. This is an unsupported process on our end though, please if you do decide to attempt this note that it can make your Kindle more vulnerable. We are actively working on a couple of other options to better support Kindle devices including offering the Word format for our books which can just be opened straight away on the device. Hi I had some issues figuring out an easy to around to read my text books on my new kindle. But after a little research I found a super simple solution. Just download the book as an epub and convert it to a mobi file. The kindle recognizes mobi files and let's you read the book in the books app. It even does the text to speech. Download the epub book file on your computer. Go to https://www.epubconverter.com/epub-to-mobi-converter/ and convert the epub to a mobi file. Plug your kindle in to your computer and transfer the mobi file or your book to your kindle. Open the books app on your kindle and ta da there's your book.